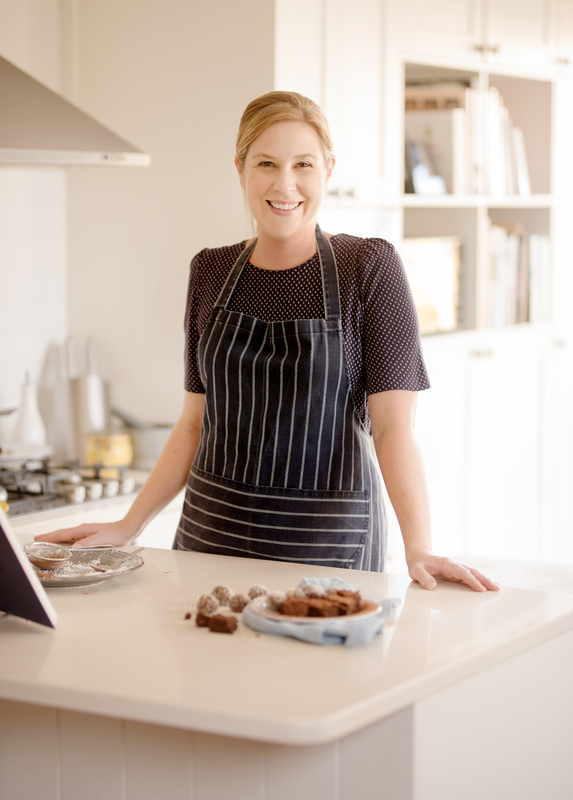 Last week I shared my recipe for whiskey ganache cupcakes and this week, as promised, sherry is our tipple of choice in this delicious lick-your-plate dinner recipe. 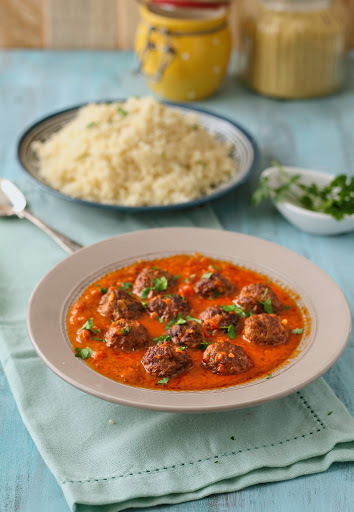 These spicy meatballs in a gorgeously creamy tomato and sherry sauce make a hearty, warming meal served straight from the oven – especially delicious given the cold spell we are busy having. I can also say from experience that the leftovers taste even better warmed up the next day! Serve the meatballs with couscous or pasta. As a variation you could also make them with lamb mince instead of beef. But whatever you do, please give this scrumptious supper recipe a try soon! On a sweeter side note, this weekend I will be supporting National Cupcake Day by baking cupcakes for the Cupcakes 4 Kids with Cancer initiative. This is a cause that is close to many of our hearts and you can support them by purchasing a cupcake (or three) at participating malls this Saturday the 30th of September. You can find your nearest shopping mall by clicking HERE. 1.) Place all of the meatball ingredients except for the olive oil in a large bowl. Use your hands to mix everything together until well combined. Roll the mixture into balls (I usually make them the size of a large walnut). Pop the meatballs into the fridge while you make the sauce. 2.) To make the sauce: heat some olive oil in a large frying pan over a medium heat. Add the cumin, red onion and garlic and cook for 2 to 3 minutes. Add the tinned tomatoes, beef stock and sherry. Season with salt and pepper, then leave to boil gently for 15 minutes. 3.) Stir the cream into the sauce. Simmer for a further 5 minutes. Check the seasoning, then take the frying pan off the heat. 4.) Preheat your oven to 180°C. Heat a generous glug of olive oil in another frying pan. Fry the meatballs until brown on all sides. Do this is two batches if it is easier. 5.) Arrange the meatballs in a single layer in an ovenproof dish. Pour the sauce over the top. Cover the dish with a lid or some foil and cook in the oven for 30 minutes. Remove the lid and cook the meatballs for a further 10 minutes. Serve with couscous or pasta.